Everything you have today began with someone else. Leadership is stewardship. Now the question is, “How are you bringing value to others?”. Leadership isn’t about status, position, salary, or title. Stewardship is about using what you have in service to others. Nothing less. Nothing more. Nothing else. Commit yourself to providing open-handed value. Begin with the assets in your hand. Passion. Hide your passion – lower your value. But you should know that passion divides the world into lovers and haters. Some buy in. Others opt out. A personal story. We all want to know about the dark days you stumble through and what you learned along the way. People who haven’t struggled are uninteresting. People who live in bitterness are ugly. Enhance your value by resolving yourself with your story. 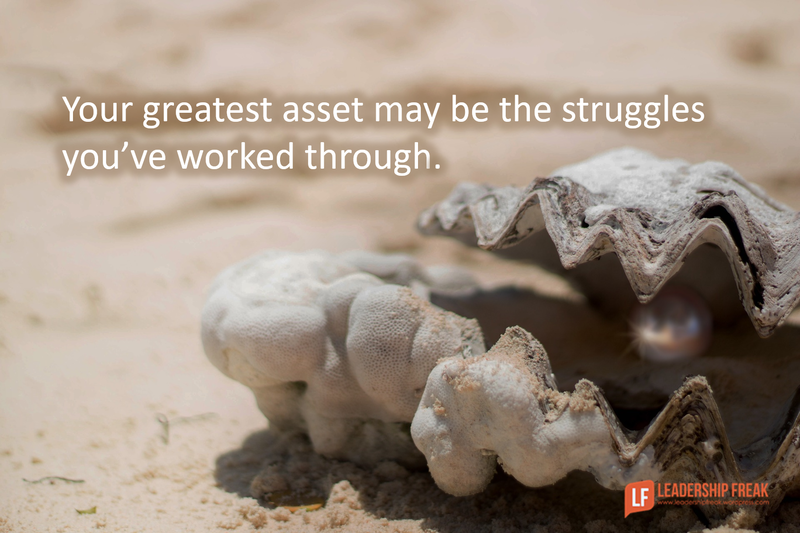 Your greatest asset may be the struggles you’ve worked through. Relationships that might enrich others. Your network can bring value to others with little effort on your part. What connections between others might you foster? Belief in yourself. Once you believe you have something to offer, you’re free to stop pretending you’re something you’re not. Curiosity. Ignorance is an asset. When you don’t have a suggestion, bring value by asking a forward-facing question. You can succeed and not find significance. The difference between let’s help a lot of people and let’s make a lot of money is the difference between success and significance. What elevates and expands a leader’s influence? Fantastic list Dan, what I have found that holds leaders back is fear of failure, especially if you haven’t failed at something, which we all have at somepoint in our lives. Some others factors leaders with greater power/control in the hierarchy scheme can be influential in leaders becoming more inward then outward. We all have something to contribute in the scheme of stewardship, just keep doing what you do well, and share your experiences so others can learn. Thanks Tim. Wow! Your thoughts about fear of failure are important. It’s good to want to succeed. But our desire for success, when taken to extreme, because fear of failure. Have a great weekend. I agree Tim, fear of failure and looking “human” do hold back a lot of leaders from taking measured risk. Isn’t it true that revealing your humanity, the struggles that made you what you are, the experience you gained from past failures, etc actually build your credibility as a leader. I.e. You have been there and done that and learnt. Your so correct the struggles we weather make us who we are. All the lessons on our journey can be good or bad as they may seem, help build our characters, I’m glad to be able to contribute and help others. The first few words of this blog “Leadership isn’t about status, position, salary, or title” really cut to the core of the problem. I believe too many people think those 4 items are all leadership means – they want to be a leader because it has status, or position, or salary or a title. There are many ways to attain status, position, salary to titles without being a leader … contribution to community, adeptness at solving problems, inventiveness, technical skill. a knighthood – can all provide those. To be a leader you do need to understand that leadership is much more. You help others achieve status, salary, title, position. You help others see the big picture and the path forward. You identify the leadership skills in those in your care and develop them to take the organisation even further forward. If extrinsic rewards are all you desire, don’t be a leader – you’ll do an injustice to those placed under your care. I think having a personal story is the most important asset – stories make people more relatable.